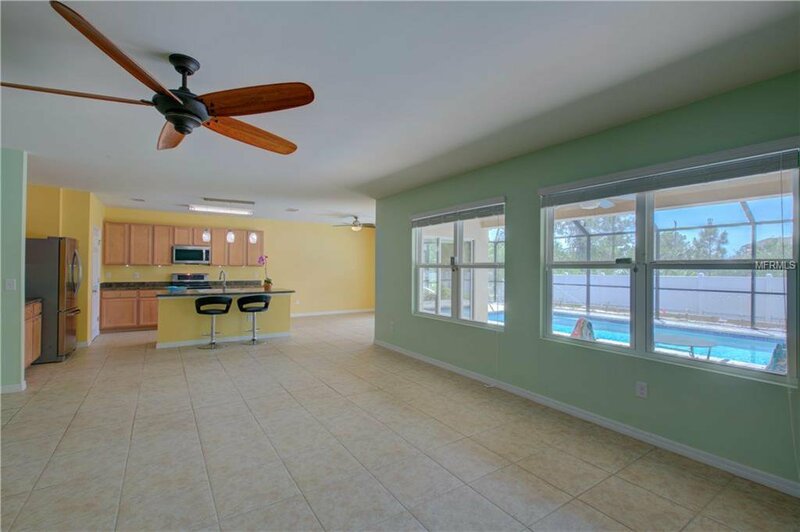 This 3 bedroom, 2 bath POOL home was built in 2015. 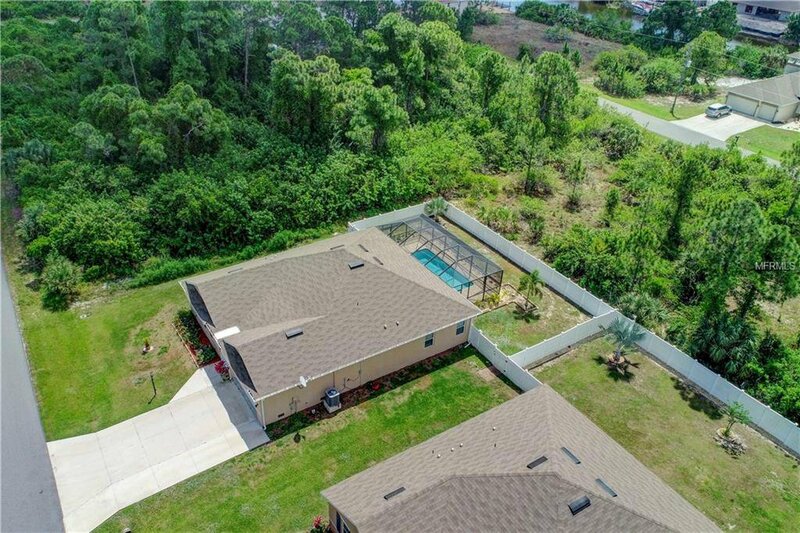 With over 2,300 sq. 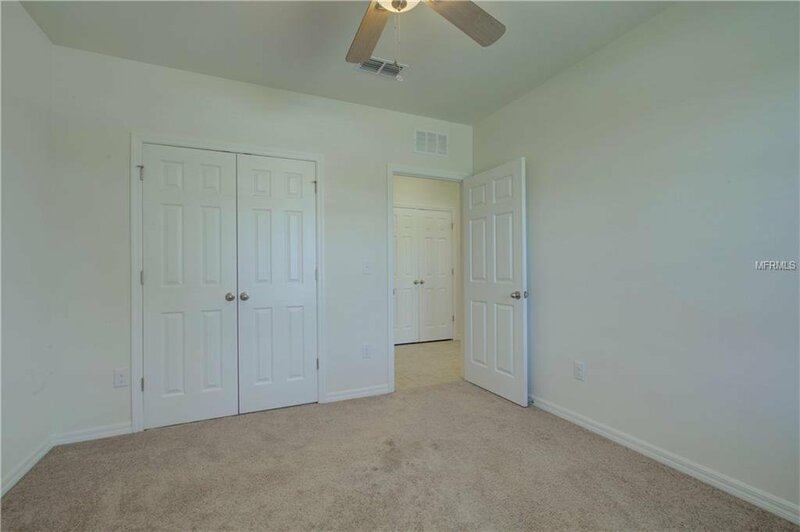 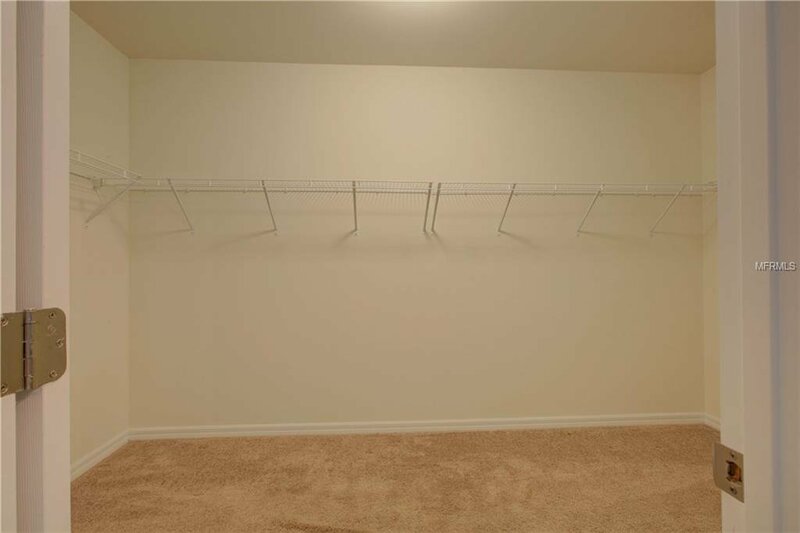 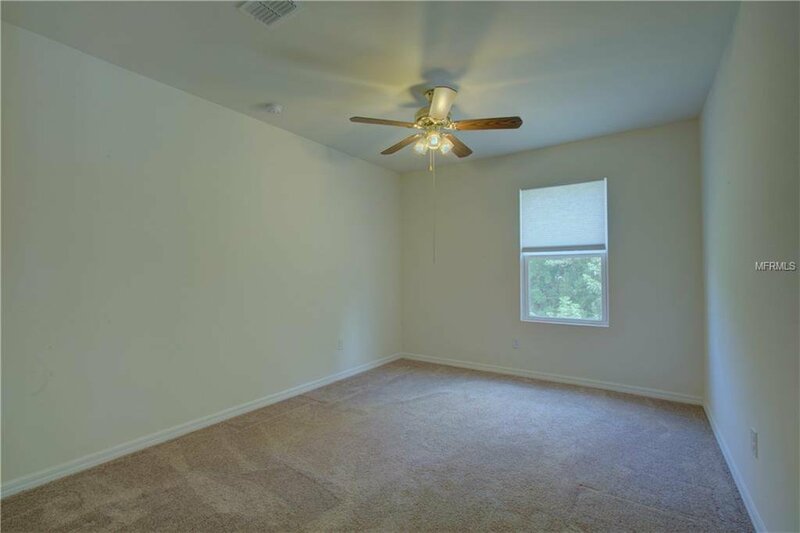 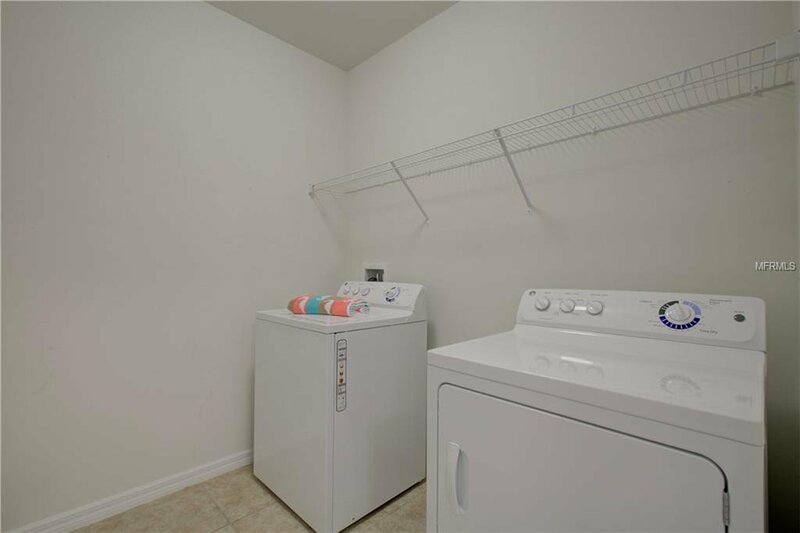 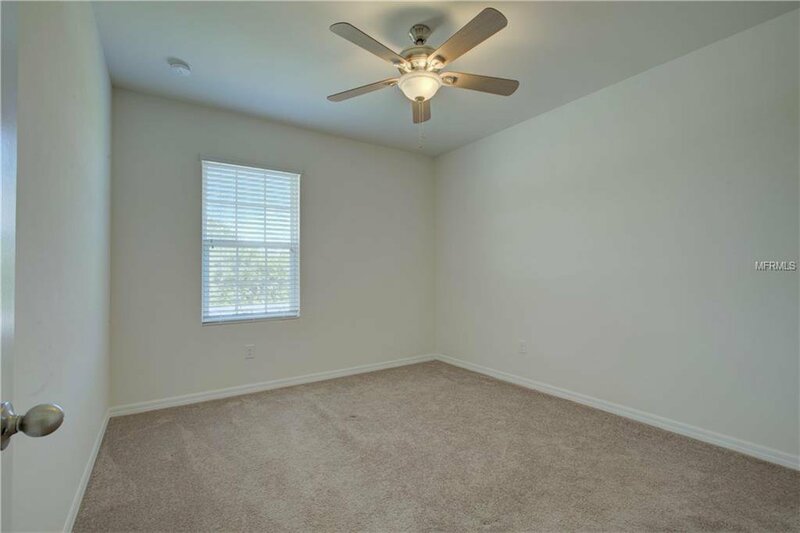 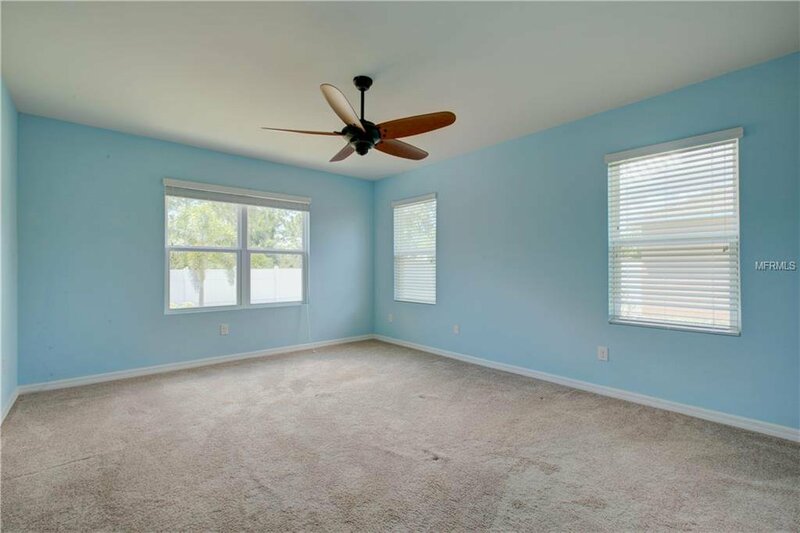 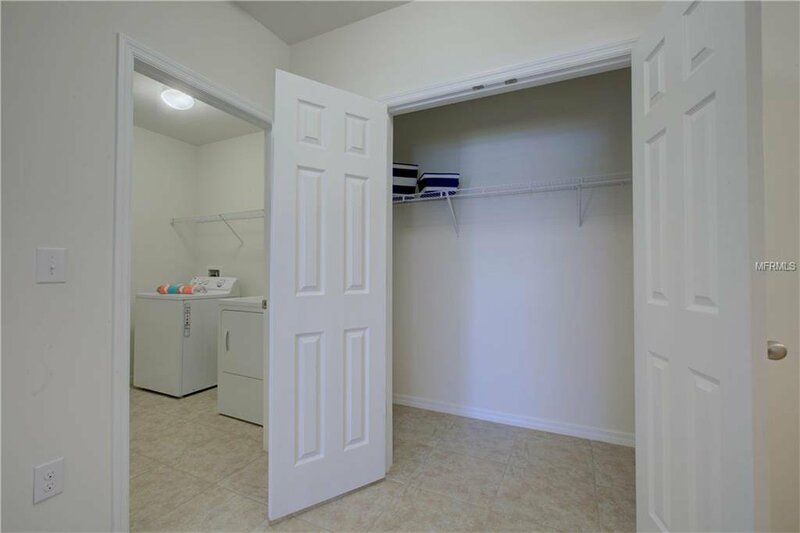 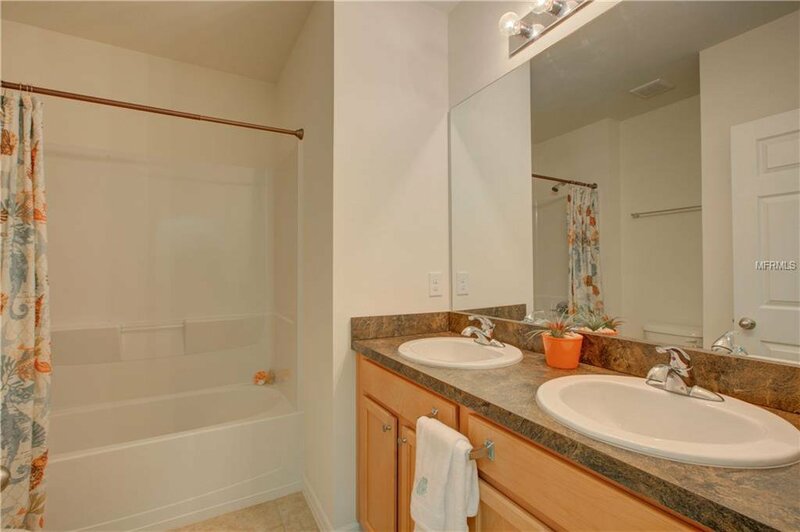 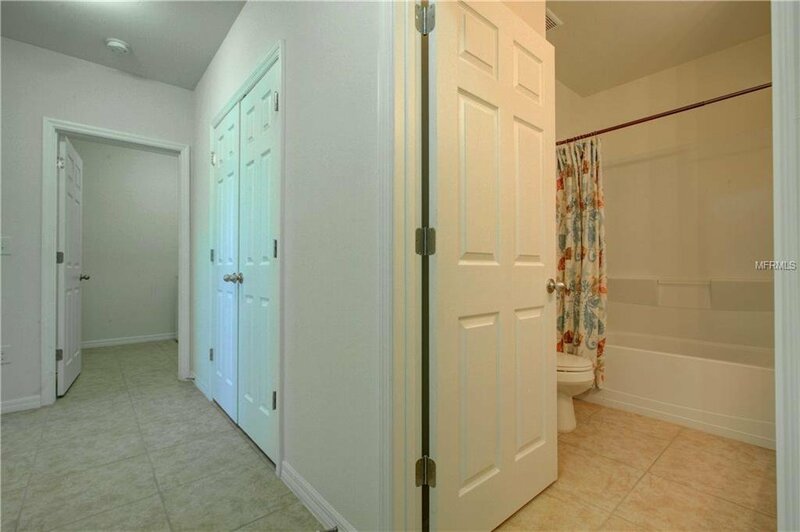 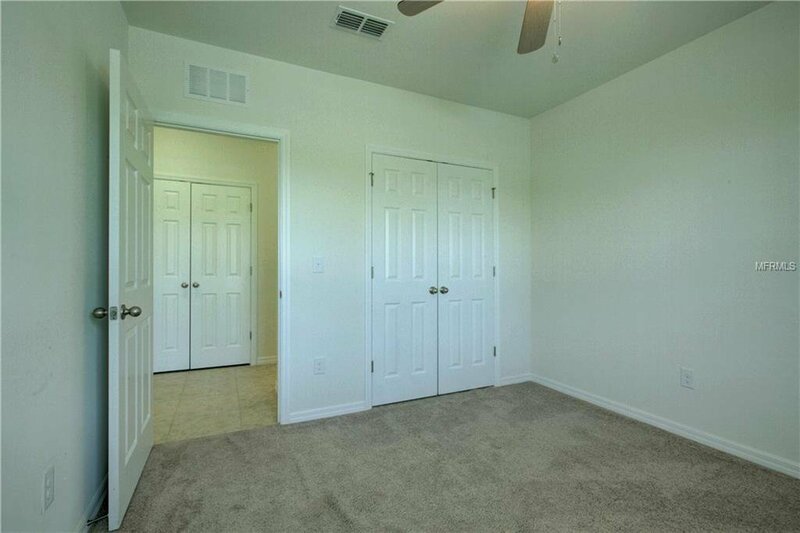 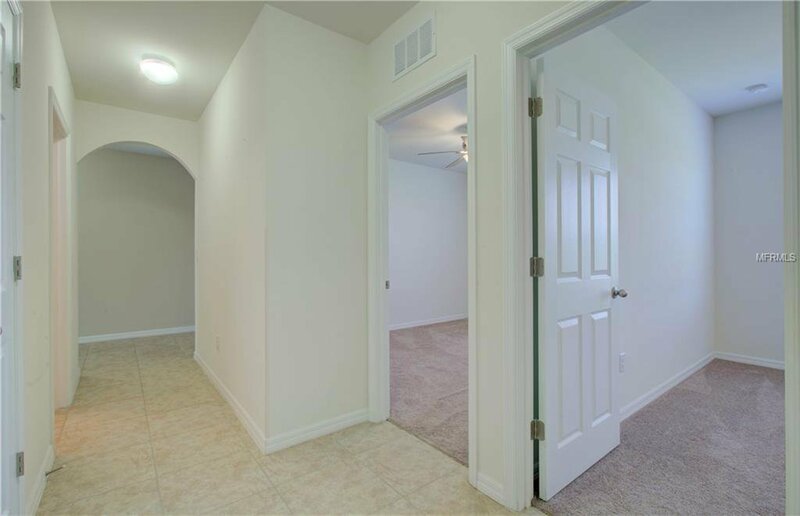 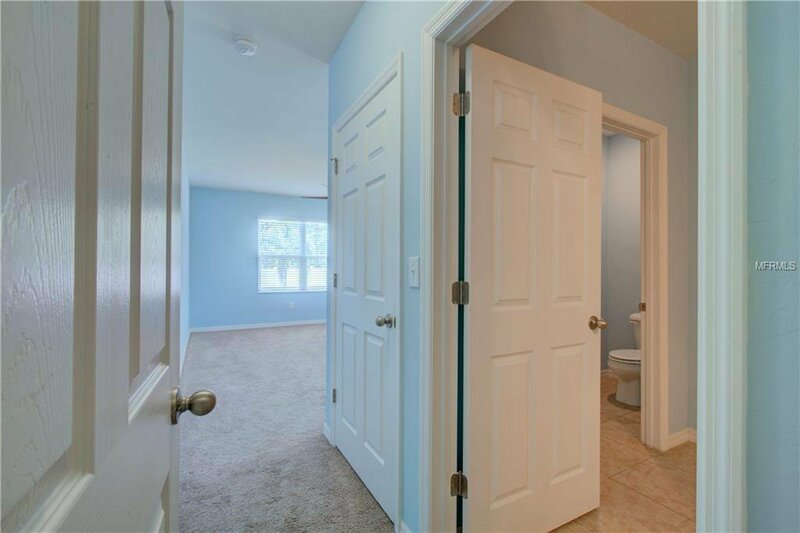 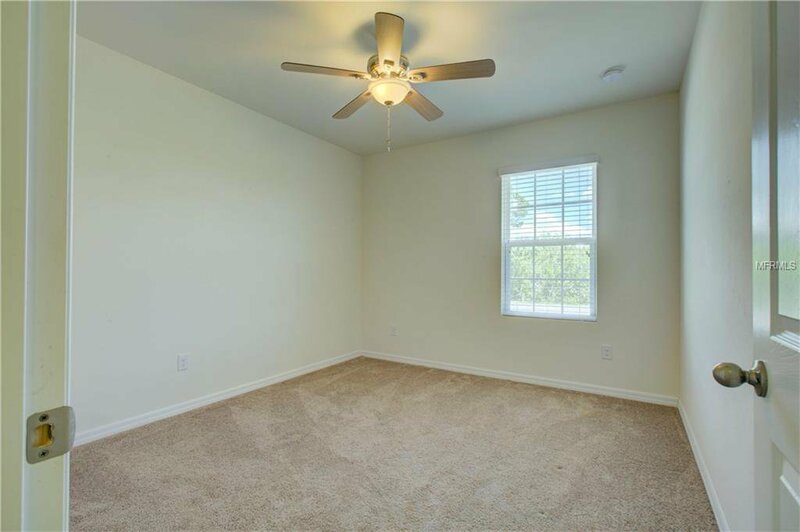 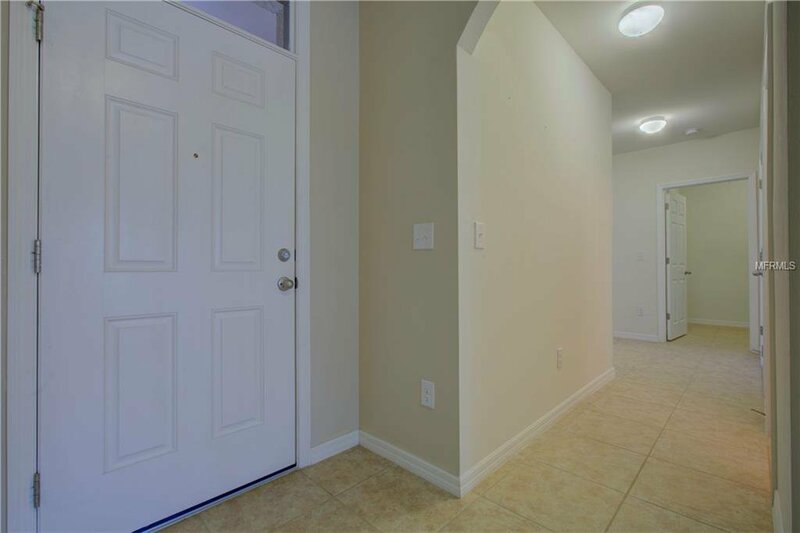 ft. the rooms are large with plenty of space for your items and lots of storage spaces. 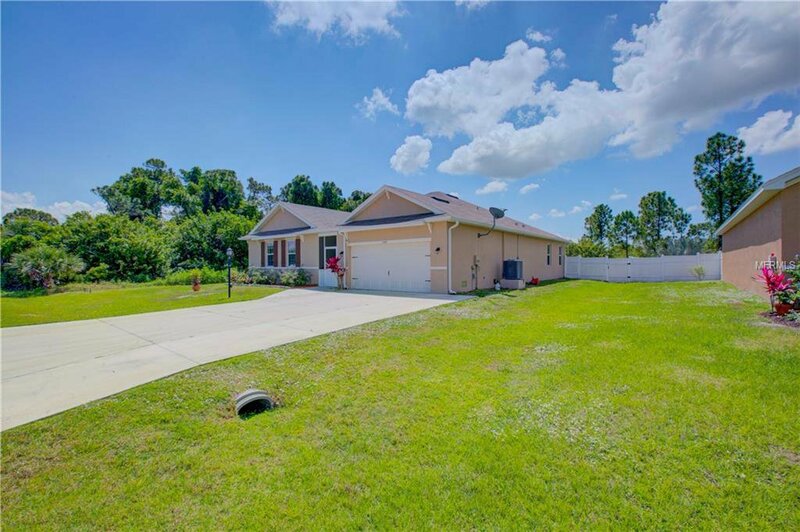 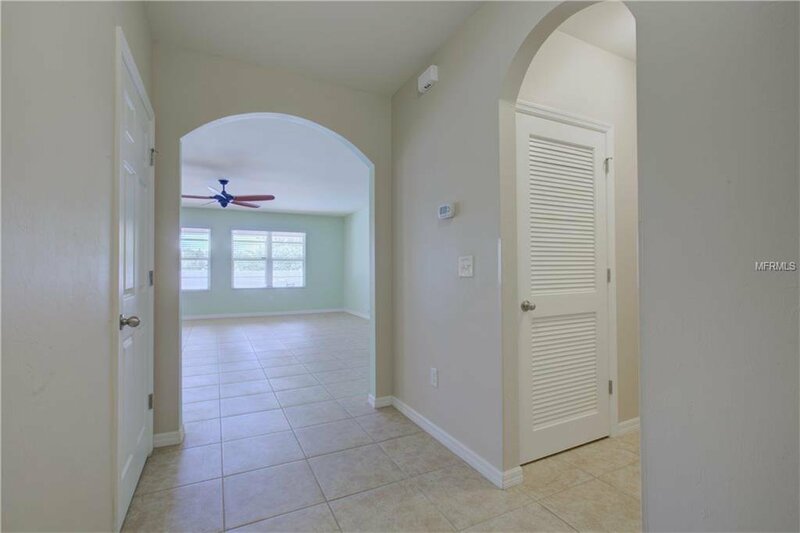 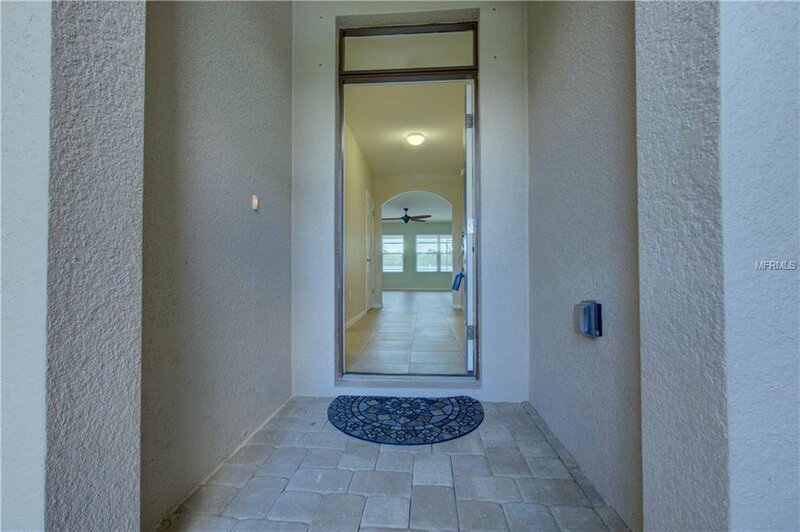 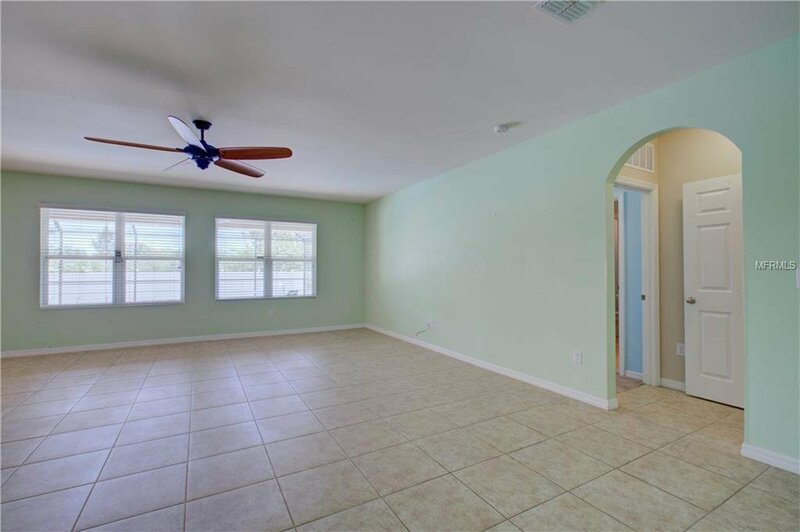 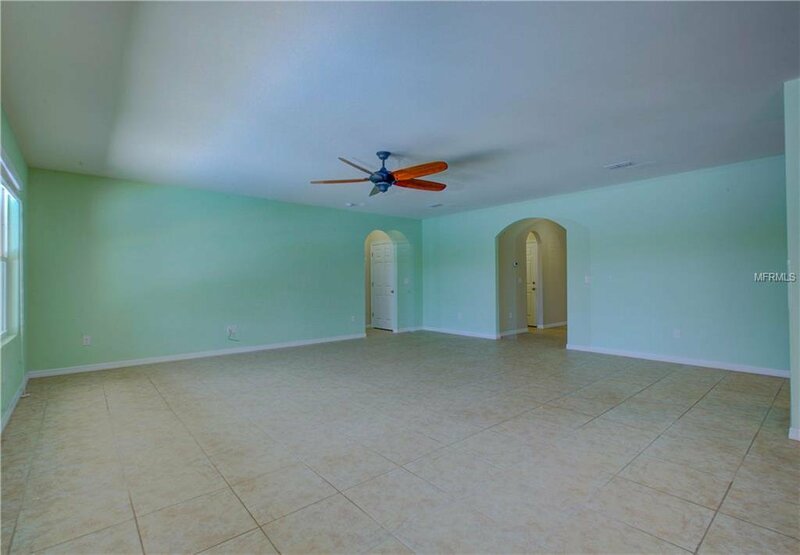 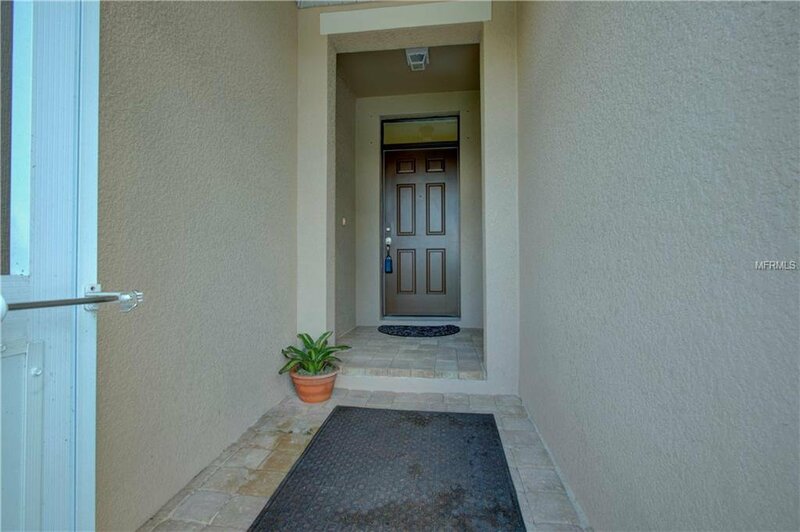 This beautiful home features an open floor plan, arched doorways, tile throughout the main living areas and a den/bonus room. 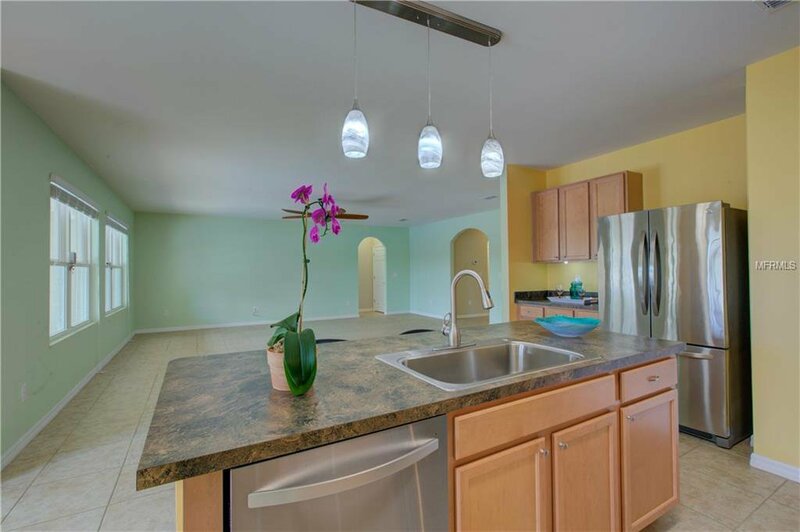 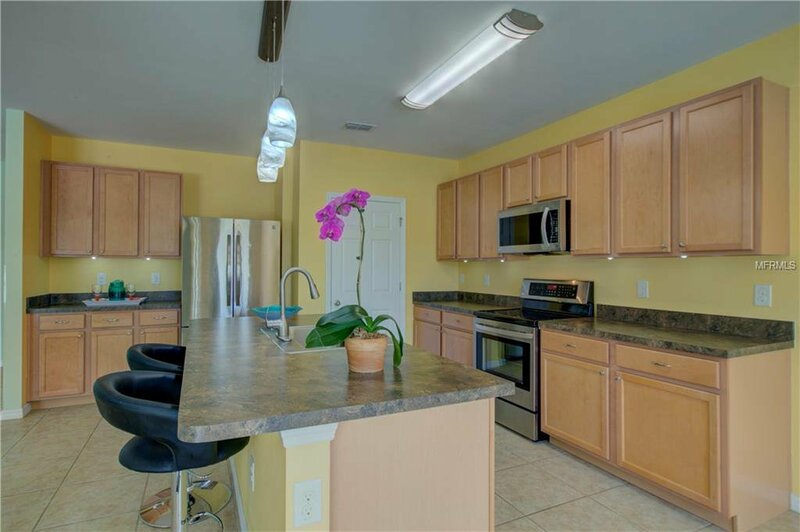 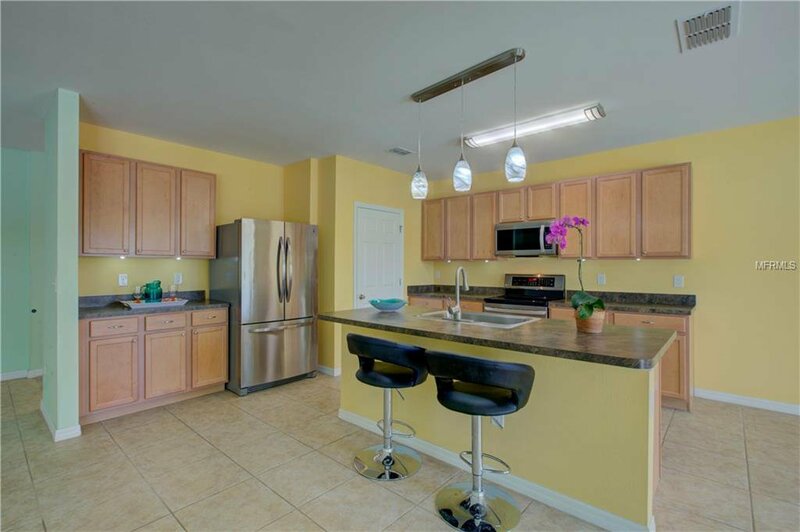 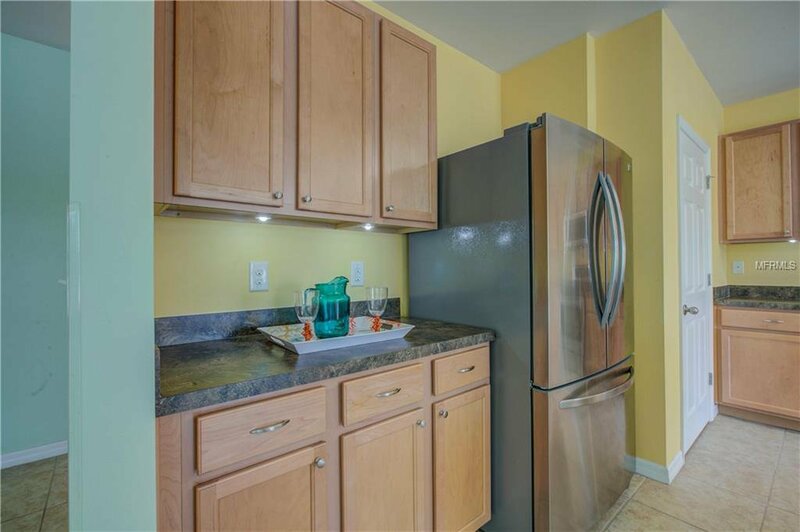 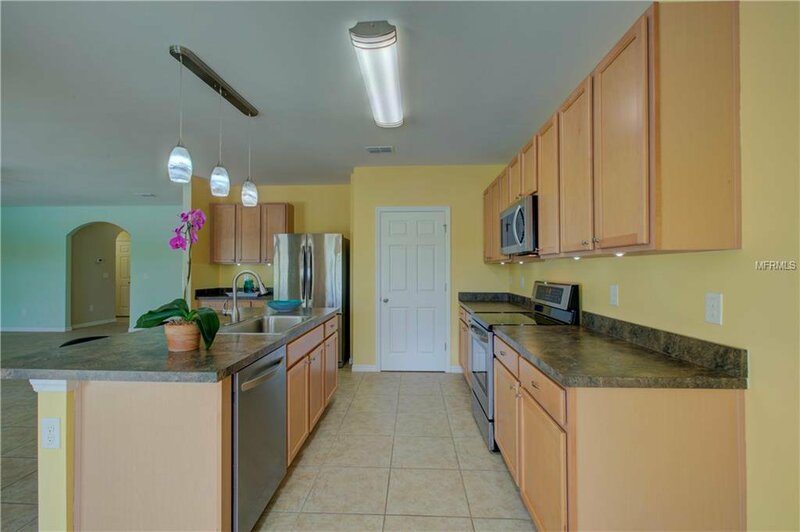 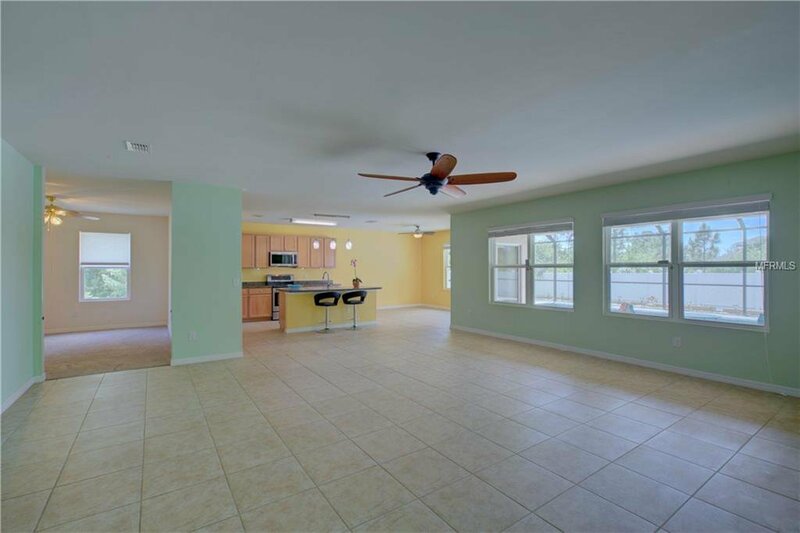 The kitchen has wood-faced cabinets, stainless steel appliances, closet pantry, breakfast bar/island and an attached dining room that leads to the lanai/pool. 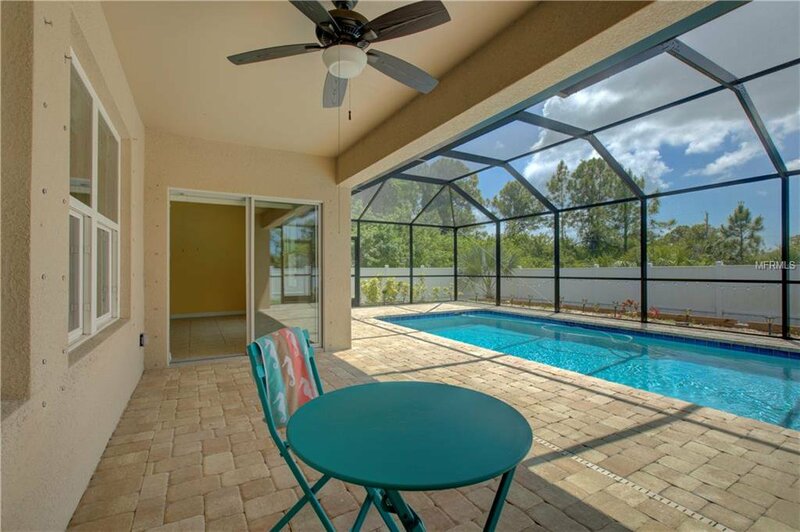 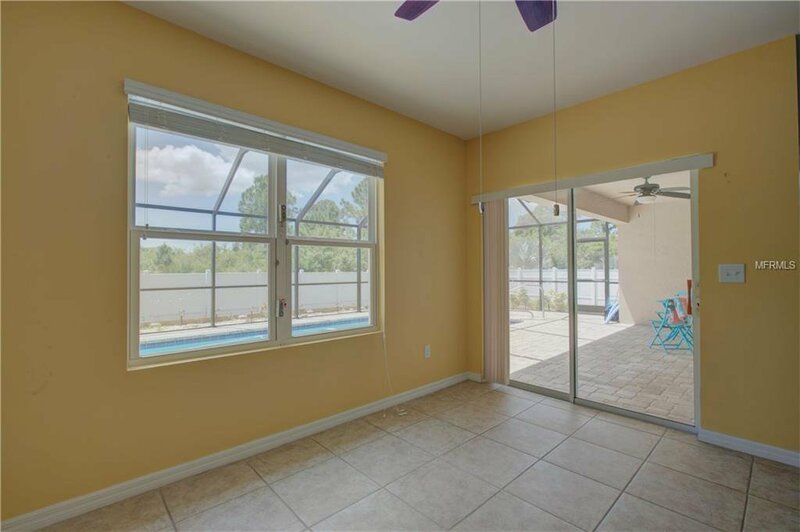 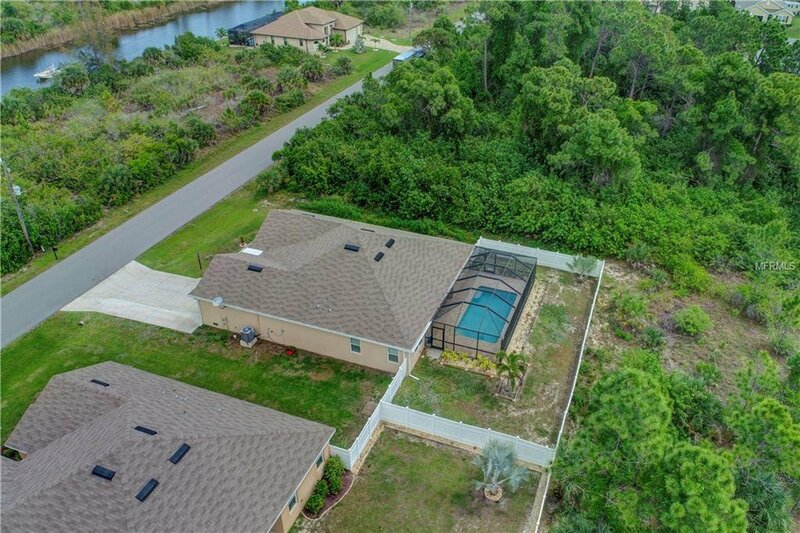 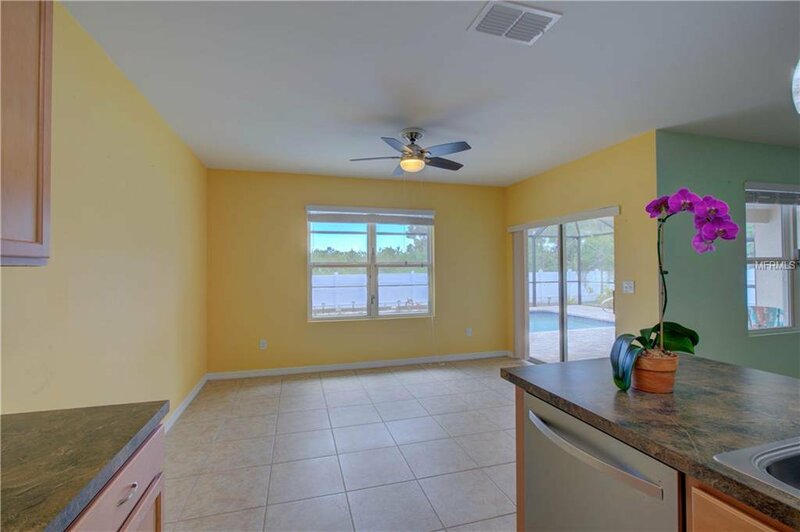 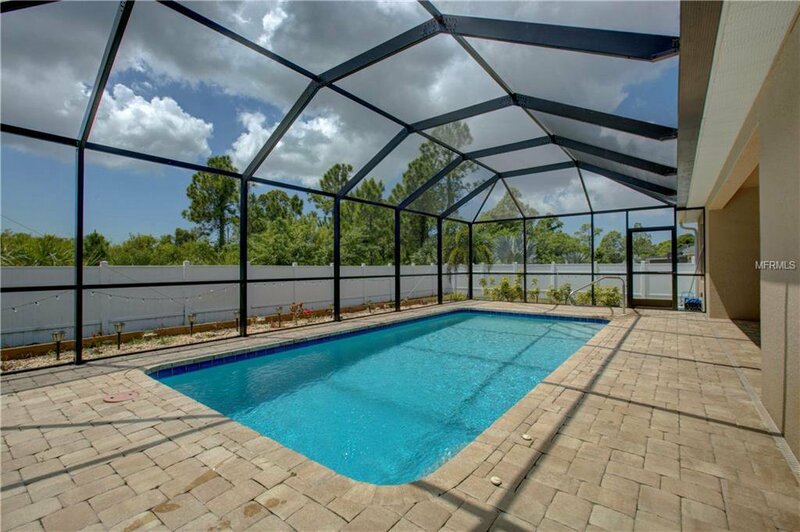 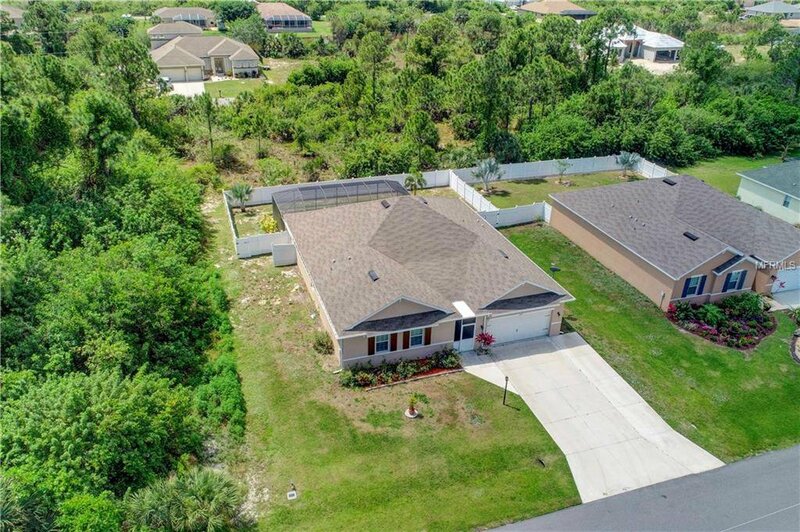 The screened lanai has plenty of room for lounging in the Florida sunshine and a covered area for entertaining…all this surrounded by a vinyl fence with 2 gates. 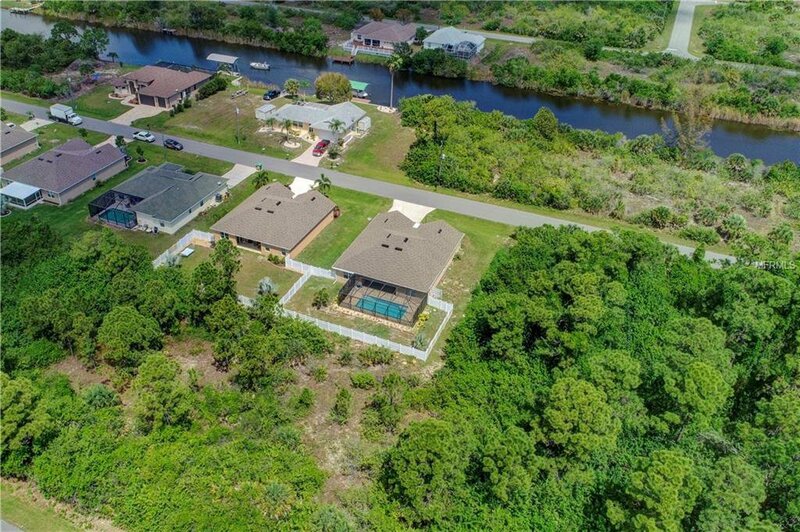 The oversized driveway can accommodate 3 cars or 2 cars and a boat/RV with outside power. 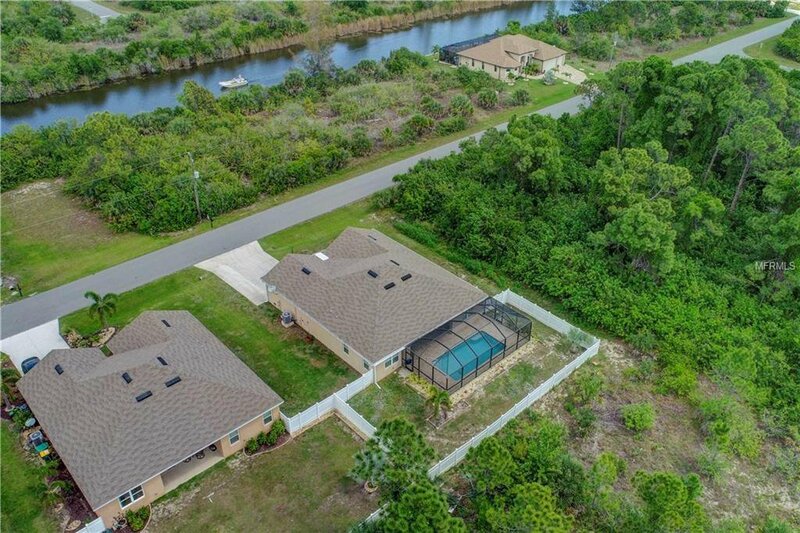 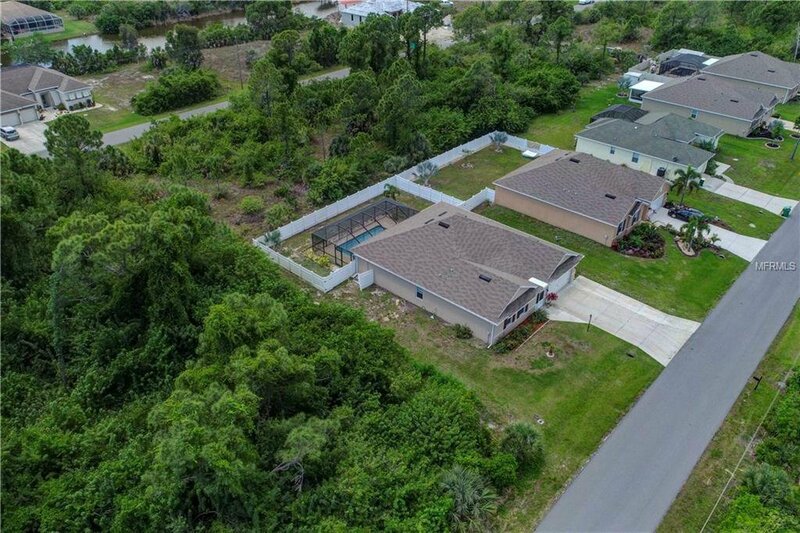 Located in South Gulf Cove a waterfront-boating community which has a boat ramp, recreation center, playground and several parks for your enjoyment. 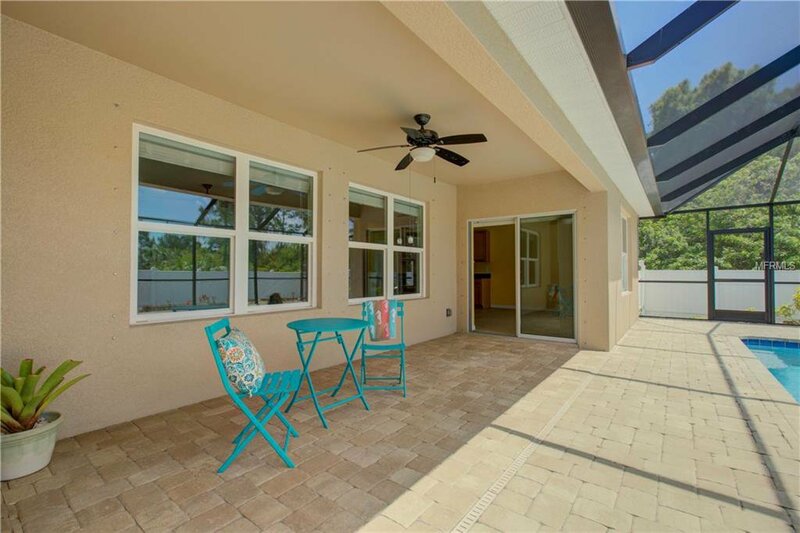 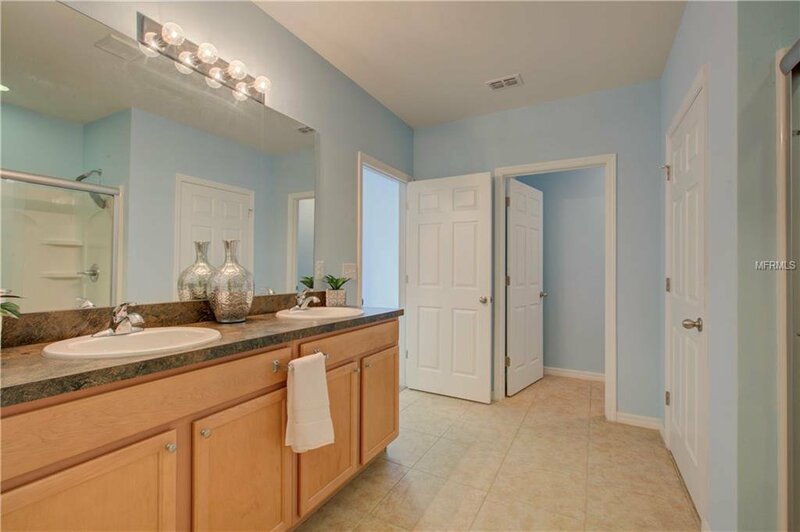 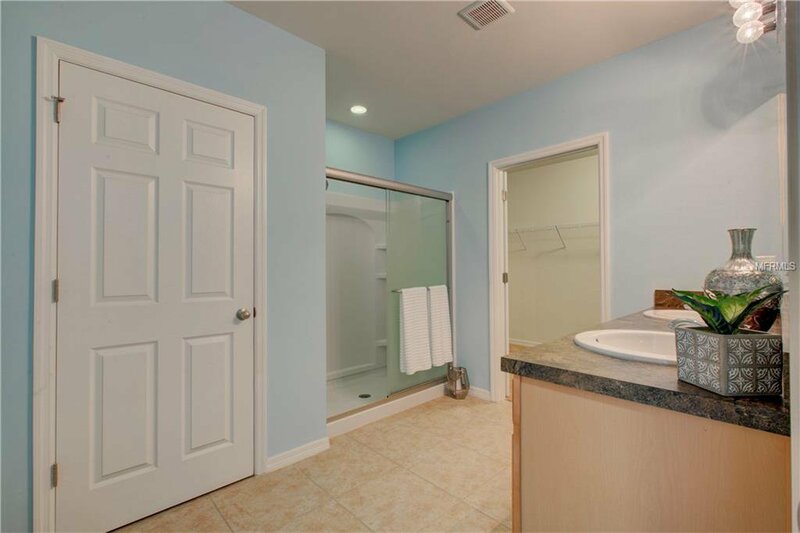 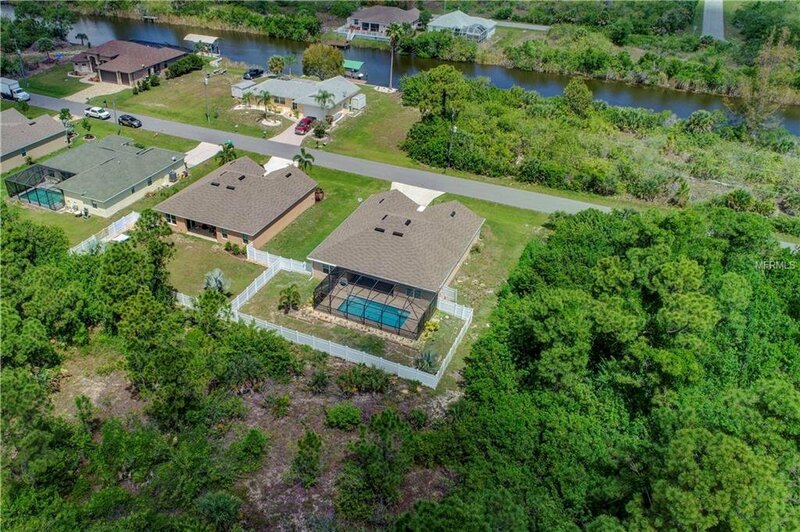 The home is located just minutes away from Englewood’s Manasota Key Beach, Boca Grande, which is known for its world class fishing and Tarpon tournaments and if you’re a golfer….Rotonda is just around the corner, which offers 5 golf courses. 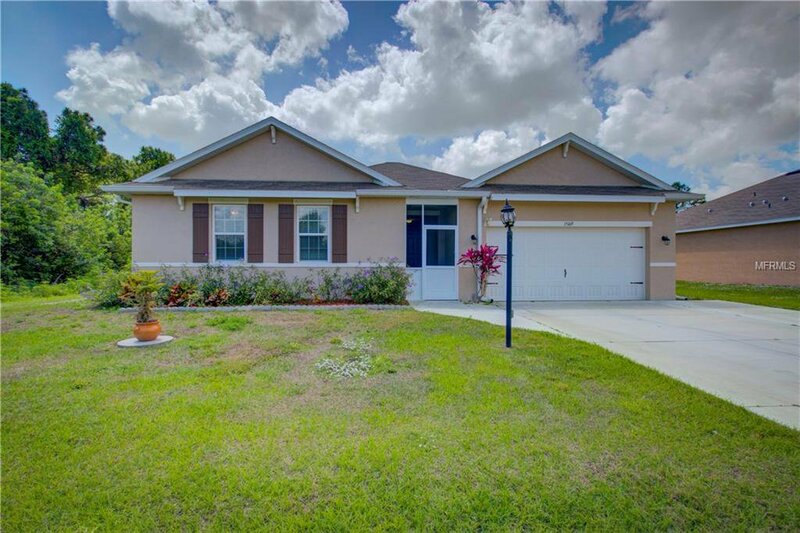 Don’t miss out on this one….bring your suitcases….this home is move in ready! 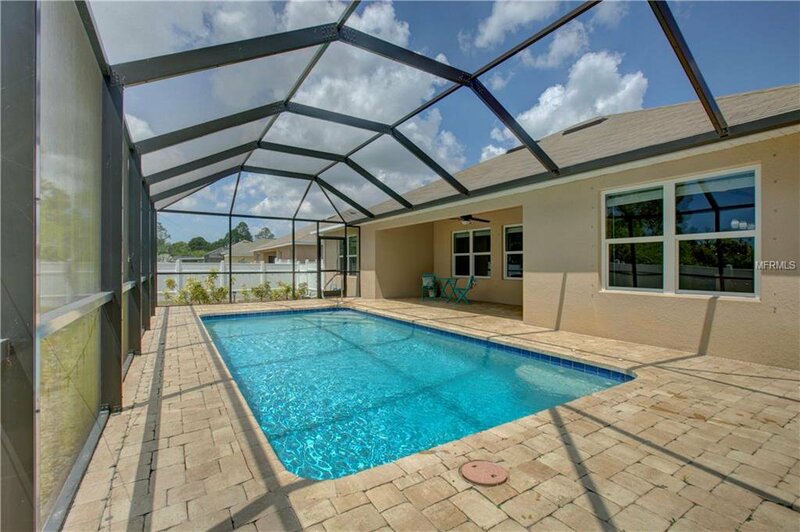 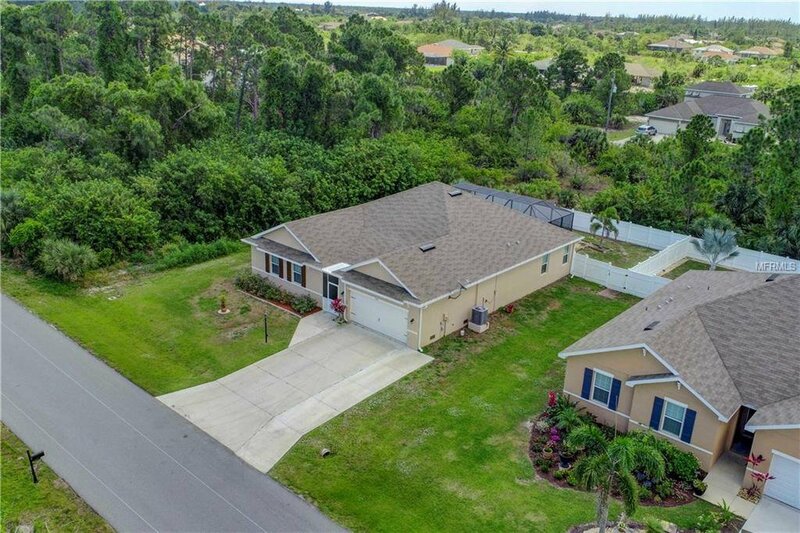 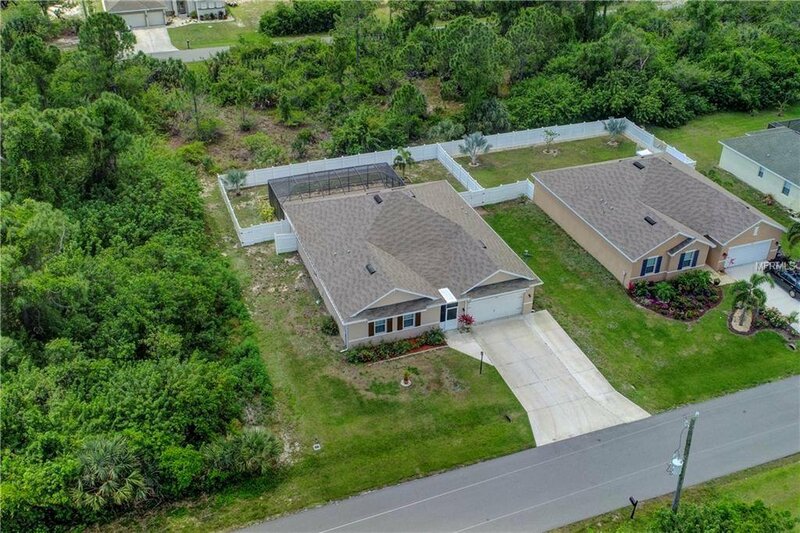 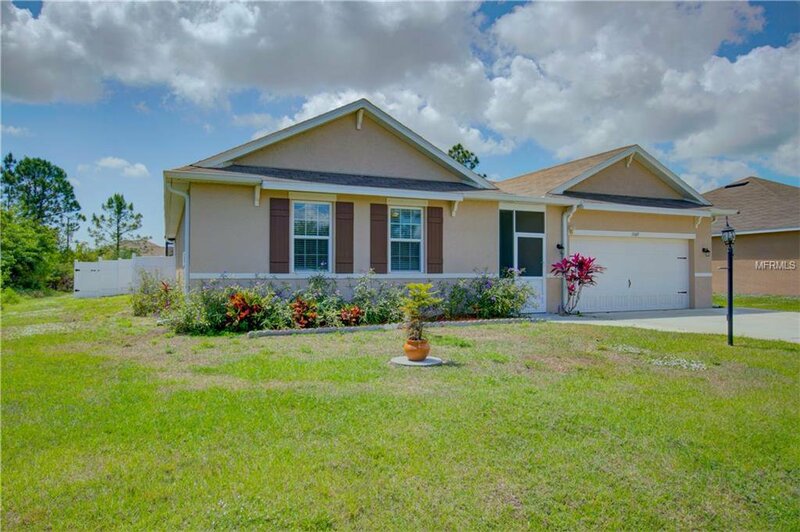 Listing courtesy of GRANDE REALTY OF SWFL.